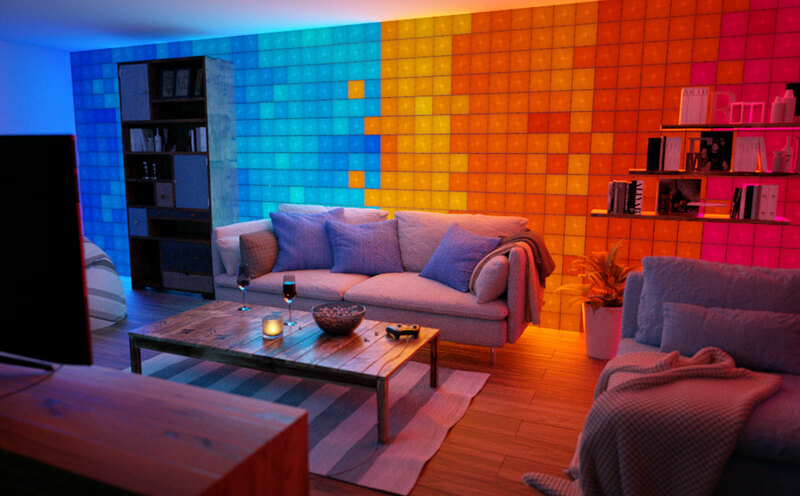 Now that smart lighting is a thing, we can make the lightbulb do more, and potentially the wall with it, which is what Nanoleaf’s latest smart home addition is for. Walls can be boring until you decide to spruce them. You might bring a poster or a decal, or something else to brighten up the flat simple colour which for many of us is likely to be beige or white. If neither of those are working for you, though, the smart home may have an answer: light. Smart lighting is already a thin you can set up in your lights, downlights, and lamp fittings, but there’s another kind of smart light that is beginning to make waves, and that’s decorative smart lighting. It’s an area Nanoleaf has been making into a big deal with its triangular Light Panel smart lighting modules, and the company now has something new to add. 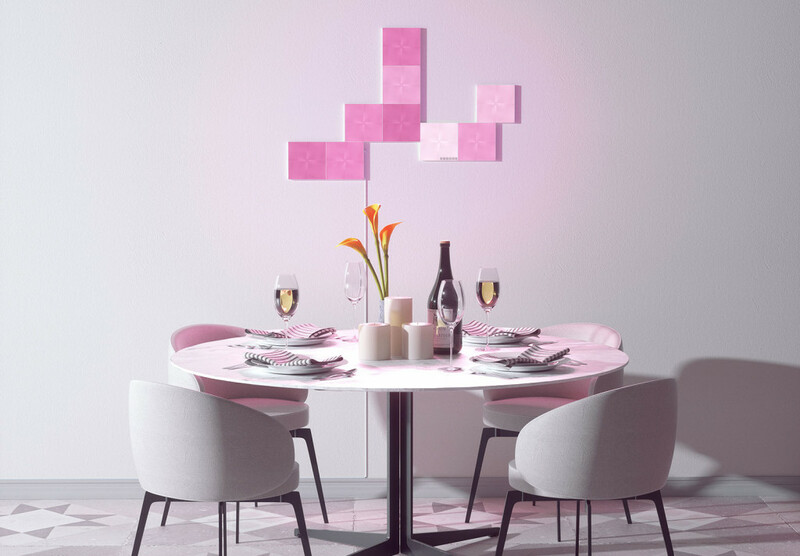 Specifically, they’re called the Nanoleaf Canvas, and they offer more modular smart lights set up in another polygonal shape, though this time it has four sides and not three. Like the Light Panels before them, the Nanoleaf Canvas squares synchronise to music and change colours based on what they hear, but these come with a different trick, and can respond to touch. Every time you swipe or use gestures on the Nanoleaf Canvas surface, they will respond in kind, adjusting brightness or playing different animations, effectively turning the Canvas modules into a lit living wall of art. You’ll still want to arrange the in your own way, and that will require manual labour, not to mention possibly more squares than the Nanoleaf Canvas pack comes with in the box. Eight Canvas Light Squares come in the $319.99 Nanoleaf Canvas Smarter Kit, alongside a power supply, tape, and a control square, while expansion packs come with four Light Squares for $109.99. You can connect up to 500 Light Squares together at a time, so you can probably imagine how much an entire wall is going to cost you (and the answer isn’t low). 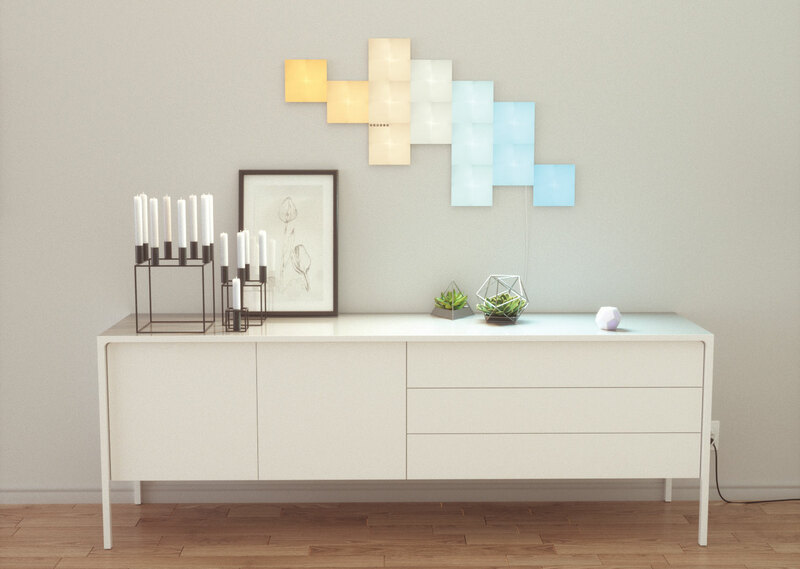 “With each new product we create, our goal is always to offer a more personal & joyful lighting experience curated to each individual user,” said Nanoleaf’s Gimmy Chu. You’ll find Nanoleaf’s Canvas in stores now, with JB HiFi getting the Light Squares, while Nanoleaf’s online store should also be available as an option, too.